Millions of people around the world have undergone LASIK with exceptional results. Thanks to advanced custom LASIK surgery, patients at our Detroit practice can see clearly without the need for glasses or contacts. Following LASIK, patients may not be able to do everything they used to for a few days or a few weeks as part of the recovery process. With that in mind, let's consider how LASIK can impact your ability to drive in the first few days after surgery. What Is My Vision Like Immediately After LASIK Surgery? This can vary from patient to patient. Generally, your vision should be all right, though some blurriness or haziness is not uncommon either. Patients will experience varying degrees of discomfort, redness, watery eyes, and irritation, particularly in the first hours of recovery. It's important that patients get ample rest after their LASIK procedure, and avoid any activities that may result in eyestrain, such as using the computer, reading, or watching television. As a safety precaution, it's important that patients not drive home after LASIK. Light sensitivity, eye irritation, hazy vision, and other side effects of surgery can make it dangerous to operate a vehicle. Instead, patients should have a family member, spouse, or loved one drive them home or accompany them home. This will ensure patients are safe as they return home to heal. The first follow-up visit with your LASIK surgeon typically occurs the day following the procedure. During this visit, the eye surgeon will assess the patient's vision quality and ask about any adverse side effects or potential complications. This is a chance for patients to express any concerns they have as they are recovering, and for any complications to be caught as soon as possible. Can I Drive Home After My First Follow-up Visit? Some patients are able to drive home on their own just fine after their first follow-up visit. Other patients may be better off waiting another day or so until their side effects resolve. Regardless, it's important that patients be driven or accompanied to their follow-up visit in order to ensure they arrive at the practice safely. In addition to driving to and from post-op visits, we should cover the issue of night driving. After undergoing LASIK, a person's night vision is seriously impacted. Their contrast sensitivity may be thrown off, and glare and halos are likely. It can be dangerous to drive at night given how difficult it is to see vehicles and obstacles on the road. These side effects tend to last for a few weeks, eventually resolving on their own as patients continue to recover. 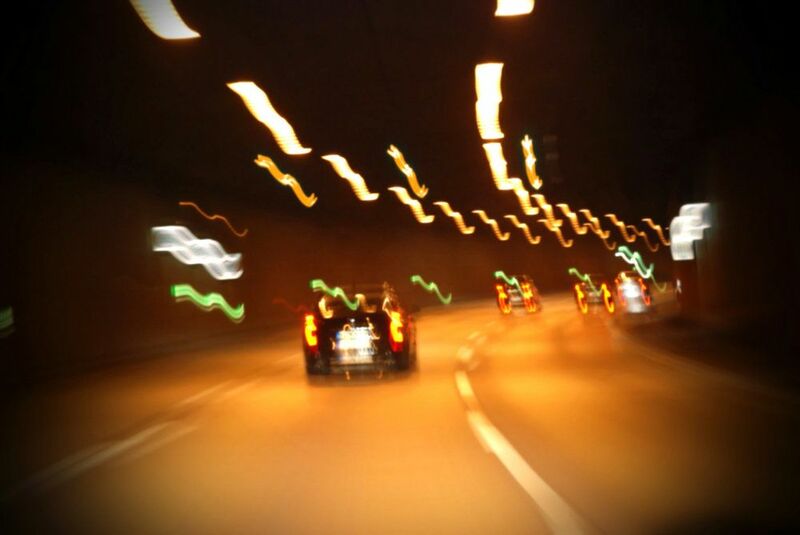 If you need to travel somewhere at night, try to avoid driving yourself if your night vision is still poor. Try to get rides from others, take mass transit, or make other arrangements so you are not behind the wheel. This can keep you and others on the road safe in those early weeks of healing. For more information about LASIK and how it can help you see clearly without the need for glasses and contacts, be sure to contact our advanced eye care center today. We look forward to your visit and discussing your treatment options in greater detail.